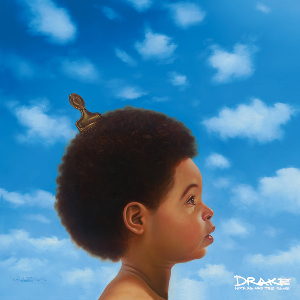 Kicking things off is the third album from Drake, an artist who back in 2011 was on the brink of becoming the best Hip-Hop act currently recording. The pressure for Nothing Was The Same was so immense that it’s understandable that the end result was a slight disappointment. Tracks like Worst Behaviour and 305 To My City wouldn’t have made it onto either of his previous albums, bringing the album to a stop. That said, there’s some incredible music here, especially for anyone who enjoyed the lighter moments of Take Care. Singles Too Much and Hold On We’re Going Home showcase both sides of Drake’s vocals, while his verses on opener Tuscan Leather prove once again that he’s one of the best rappers currently recording. Nothing Was The Same wasn’t the turning point for Drake that it should have been, but there was enough here to warrent inclusion on my 2013 list. Much like Nicki Minaj’s Roman Reloaded in 2012, I spent a lot of time talking about the albums that Justin Timberlake released in 2013. 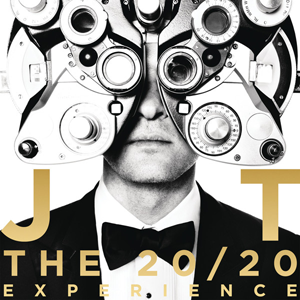 Some would say I was little bit obsessed with trying to ‘fix’ the work that Timberlake and Timbaland had put into each part of The 20/20 Experience but it was only because there was so much potential in the first place. Songs like Don’t Hold The Wall and Let The Groove Get In contain some of my favourite moments of music in 2013, but they are buried within 7 minutes of repetitive hooks. Other songs cope better with the longer runtime, Amnesia and Mirrors both especially living up to the huge expectations I had for a FutureSex/LoveSounds follow up, but it’s hard not to image what could have been. Within both parts of The 20/20 Experience there’s the my favourite pop album of 2013. As it is though, JT will have to settle for just making it into my top 25. I’ve probably talked about ARTPOP even more than the 20/20 Experience in 2013, so I’ll keep things short here. ARTPOP makes it onto the list due to songs like Gypsy and Dope pushing her sound closer to the Springsteen style stadium pop she’s been edging towards for years, while Do What U Want proves that she knows how to write a damn good straight up Pop banger. ARTPOP finds itself at the lower end of the 25 due to songs like Fashion! and Donatella which not only feel like poor imitation of her past work, but manag to actually be terrible songs in their own right. Lady GaGa has created some awful music here, but luckily for us it’s still outweighed by some truly incredible music. I never would have imagined that The Arctic Monkeys would make it onto my albums list in 2013, never mind being placed ahead of Lady GaGa, but here they are. 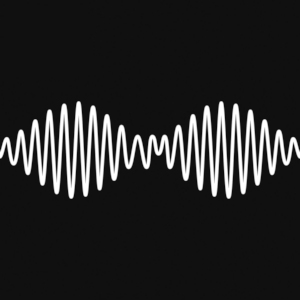 There’s a reason they are the biggest band in the UK (Next to Coldplay of course), seen no more effortlessly than on standout single and album opener Do I Wanna Know. That song very very nearly made it onto my singles list, and here it’s followed by a steady run of other tracks that capture the same intense darkness; thrilling from start to finish. The band certainly know their way around a pop hook, and here they aren’t afraid of showcasing that. Unlike so many guitar bands of 2013, Artic Monkeys didn’t need to prove their autheticity by discarding pop influences, instead on AM they fully embraced it. For much of 2013 it felt like we would never see M.I.A.’s 4th album Matangi. Plagued by delays through 2012, M.I.A. became so frustrated this year that she threatened to leak the entire album if her label wouldn’t release it. Luckily she didn’t need to resort to this and Matangi finally saw a release in November. Full of the usual amalgamation of Bhangra, Hip Hop and just about anything else M.I.A. can get her hands on, this is a bonkers record. Its most crazed moments, the electric shudder of Bring The Noize, or the writing credit for Julian Assange on aTENTion are where fans will feel most at home, in fact it’s the more straightforward pop hits that surprise the listener on Matangi. Exodus sees M.I.A. and The Weeknd team up for an incredible pulsating pop record, while Bad Girls is probably the first song she’s released that sounds like a #1 hit. Matangi is a difficult listen, but it’s one that you won’t long forget. As seen on my singles list, Country music has started to become the genre I listen to the most. An early draft of this list contained no fewer than 6 country albums, but in the end this number has been reduced. The Band Perry are probably the most accesible act for non country fans currently recording (Especially since Taylor has seemingly jumped ship) and their second album is brilliant. Few female singers have the infectious attitude that Kimberley Perry does, seen no more than on singles Better Dig Two and DONE. both songs that really came alive during their recent world tour. Night Gone Wasted and Forever Mine Nevermind continue the coun try stomper trend, but the most memorable moments come when things slow down. End Of Time recalls their breakout hit If I Die Young, while Back To Me Without You builds to a wonderous climax. One of the most honestly simple country records of 2013. Dance music continued to dominate the charts in 2013, acts like Rudimental, Disclosure, Duke Dumont and Avicii scoring huge #1 hits. Chase & Status seemed to miss out on most of the excitement, their singles and album performing well, but never really taking off like they deserved to. Brand New Machine is the sequel to their previous album No More Idols that no one knew they wanted. The 90s vibe is strong throughout, from the ‘Ahhs’ hook of lead single Lost & Not Found to Deeper Devotion which sounds like a 90s Kylie album track. It’s the glue that holds together this package of songs, nearly as diverse in style as on the last album. The contrasting sound of a Pop song like Count On Me and the grinding Dub of Machine Gun is jarring at first, but as an album it actually works. 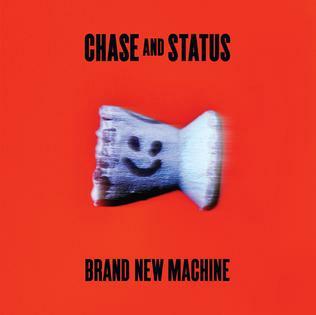 Chase & Status continue to be the kings of Drum & Bass, something that’s not going to change any time soon. There are few artists as ambitious as Janelle Monae, who released the next two parts of her ongoing Metropolis Suite in 2013 as her second proper album, The Electric Lady. As follow ups to the excellent The ArchAndroid, The Electric Lady manages to retain just about everything that made that such a thrilling and original album. Songs like We Were Rock And Roll and Dance Apocalyptic replicate the jazzy funk of Tightrope, while It’s Code and Sally Ride expand upon Monae’s signature sound to great effect. The Prince comparisons are obvious, especially when the man himself turns up on opener Give Em What They Love, it’s nice to know that Janelle has her idol’s blessing. The best moments though have to be the moments where Monae showcases her incredible talent for rapping, both on Ghetto Woman and lead single Q.U.E.E.N. 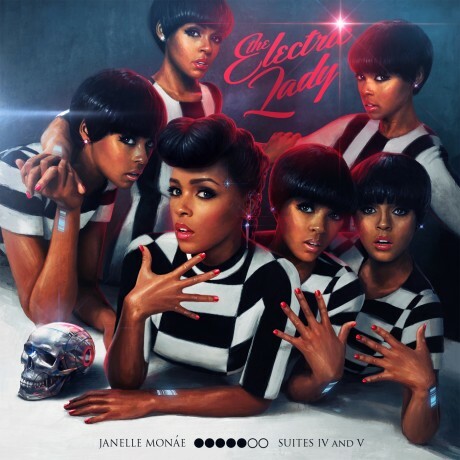 There’s no one quite like Janelle Monae, which means there wasn’t an album quite like The Electric Lady in 2013. Tags: Chase & Status, Drake, Janelle Monae, Justin Timberlake, Lady GaGa, M.I.A., The Arctic Monkeys, The Band Perry. Bookmark the permalink.